Ever since I discovered Sagada and the surrounding areas in the Cordilleras, Baguio has meant nothing more than a stop to refuel a grumbling stomach, buy some stuff for the people back in Manila, or a transport hub. Sad because in my childhood we always looked forward to Baguio for its cool climes, greenery, and delicious pasalubong. 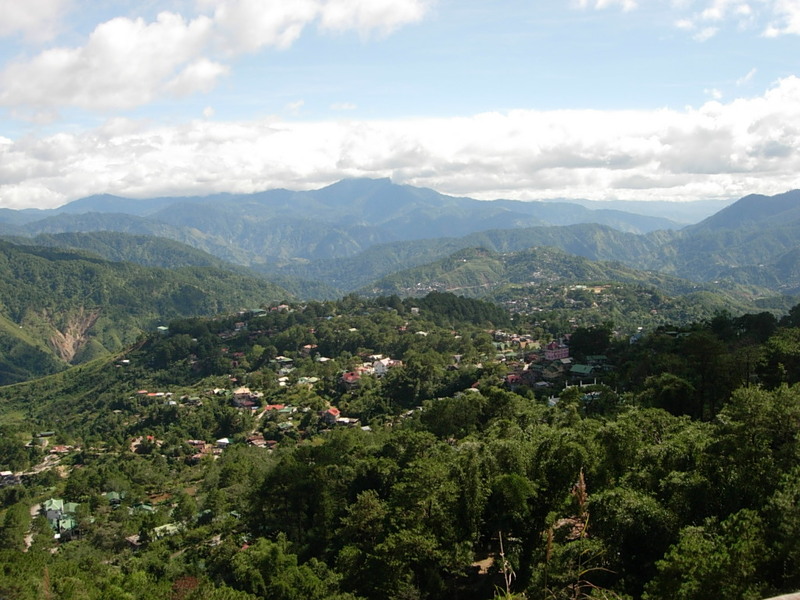 Through the years, Baguio has turned from greenish highland retreat to greyish concrete jungle. There are still no real high-rsies (god forbid!) but the surrounding hills seem to be cloaked more and more by houses rather than grass. Pollution from public transportation choke your lungs. Session Road is no longer the bohemian place to be. Gone are the bars that nurtured a whole generation of local bands and singers. In its place are fast-food chains and clothes shops competing space with ukay-ukay. 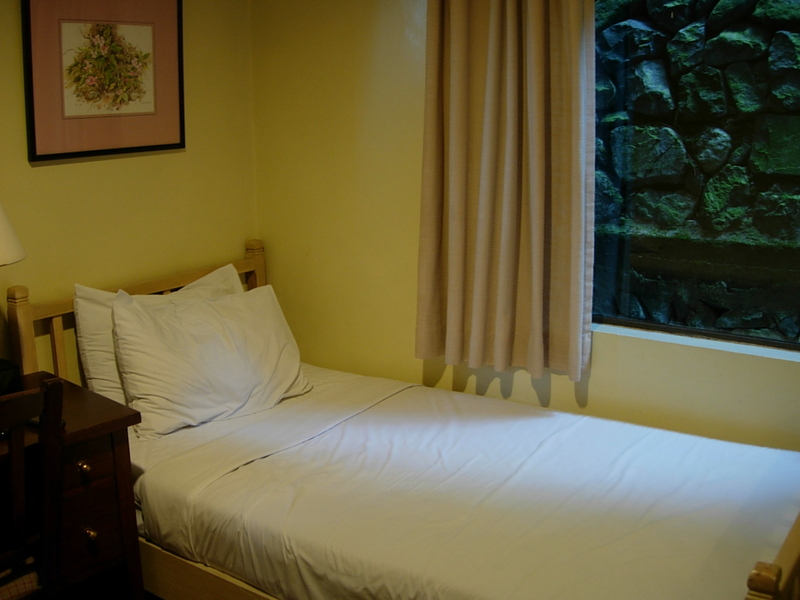 The last time I was in Baguio for a short break and actually stayed and slept there was during Lent a couple of years ago. It was utterly horrible! The streets are crowded with people and vehicular traffic and it was just so hot! Never ever again! I was in Baguio from Tue-Wed this week for a short Christmas outing with the company head office. There were no crowds and there was a more local feel to the place. Even at the Baguio Country Club where we stayed, there weren’t much people. By the way, the buffet breakfast was delicious! If you’ve been to Baguio once, you’ve been to it forever. There really wasn’t anything new to see nor do except to just stroll around and eat. Burnham Park was surprisingly quiet with only a few people having a picnicking or boating. We did go to Camp John Hay but only as far as The Manor and the px shops as we just walked from the club. On the way out, we had to wait several minutes as some golfers were teeing-off. I wonder how it feels to have a golf ball slam on your face. Must be really painful. The tablea in this cafe is ground to a paste then bottled. Just mix with water for your chocolate eh! Lunch was at Rose Bowl which had since transferred to Gen. Luna st. We had hototay, fried chicken, lechon kawali, pansit canton, lumpiang shanghai, and ampalaya with beef. For Chinese food, it was quite bland. Disappointing. Tragic best sums up Mines View Park. At least as recent as a couple of years ago, there was still a view to be had. But the souvenir and photo stalls seems to have taken-over the place. As you make yourself down to the viewing platform your are then regaled with magnificent views of the countryside overrun by houses. You can even see the road. It’s no different from the view you get at SM. We did have fun at one of the photo stalls where you can get dressed in Cordillera garb and have your photo taken. Others had theirs with one of the St. Bernards. Where are the mines? Where is the view? We dropped by Good Shepherd for the mandatory foodies to bring home. I skipped all the bottled stuff and bought some torta, ensaymada, and potato bread. Nothing fantastic. I remember the torta to be really good and soft when I first tried it way back. It was buttery soft and really yummy. It was still tasty but the texture was dry like an old monay. This art-deco building has seen better times. I was in Baguio again last weekend, this time for a workshop with FitPhil at Teacher’s Camp. It’s been decades since I last visited Teacher’s Camp and it still looks the same—old but quaint. 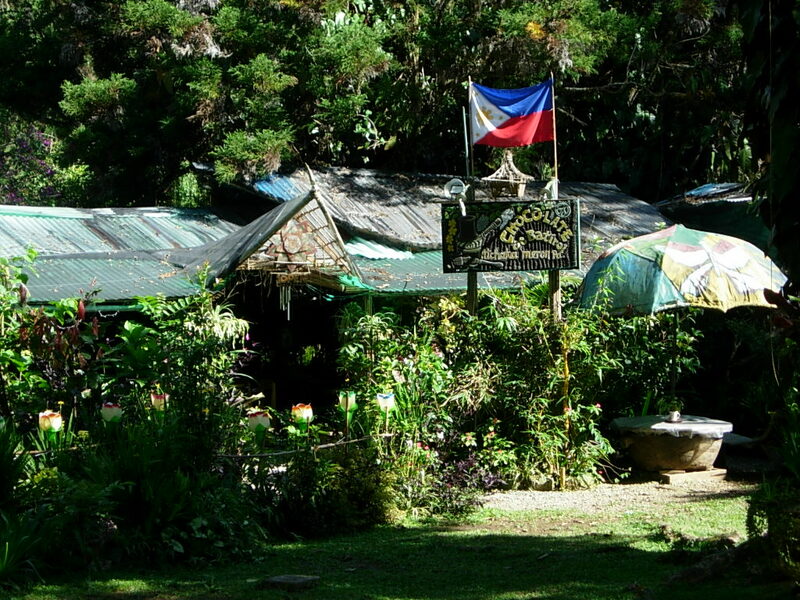 It reminds me of the Baguio of old–green, quiet, and with just the right touch of small-town littleness. Baguio is ugly now. It’s nothing more than another city bursting at the seams. Downtown is especially horrible with all the pollution. Nevertheless, for all its flaws (and there are numerous of them) this City of Pines still has its charms. Meat Pies at Star Cafe. This old Baguio institution has got to have one of the best meat pies. The all-meat filling is generous with the savory taste of curry. Oven-baked rather than fried not only makes it healthier but keeps the yummy buttery crust fresher. For only P 25 per piece, it’s definitely worth it. Ukay-ukay no more. 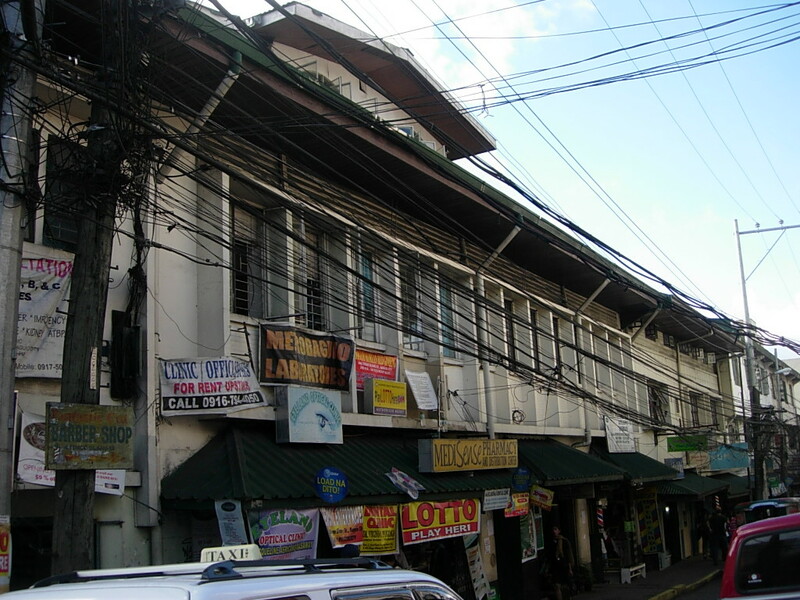 My first venture into ukay-ukay shopping was at a large large store along Session Road a couple of years ago. For about a thousand bucks, I was able to get loads and loads of quality clothing that was hardly used. The Bodywear briefs I got (they were sealed, brand-new, probably old stock) at 3 for 100 were definitely a steal. However, last weekend, I left the store empty-handed. Prices were unbelievably sky-high for second-hand clothing. I pair of trek shorts I wanted was going for 680! Not even Ed, the ukay-ukay master got hold of anything. “People don’t buy much anymore,” said one vendor. Need they wonder? Greens and Greens.Well, I wasn’t sure if it was really a bargain. Compared to Manila prices, I was at least confident they were much lower. But the manangs at the public market who sold me all those vegetables packed in clear plastic bags said I was getting them cheap. 3 packs fo broccoli for P 200 seemed reasonable. In less than 20 minutes, surrounded by all the manangs , I had 3 braids of garlic, 3 packs of broccoli, 3 packs of cauliflower, 1 pack of lettuce, 2 packs of red bell pepper, 3 packs of large tomatoes, and a kilo of strawberries. I forgot to buy my red rice, black rice, white onions, and potatoes. Sculpture by Clinton. If Mines View Park is a must in your itinerary, then at least drop by the shop at Clinton Aniversaryo, a local artist who does wonderful wood sculptures. Clinton’s shop is located at near the back, close to the viewing decks. It willbe quite easy to find as it stands-out amidst all the shops selling 4 for 100 food, wooden sandok, and souvenir shirts. Bam and Ed, particularly like his clocks with indigenous motifs. I couple of year back, for 500 bucks, I got a lovely carved foot stool. Torta at Good Shepherd. Tortas ar sweet little cakes not unlike the mamon but with a little more character. The Torta de Argao (from the town of the same name) is made with the local wine and anise that gives it a little bite amidst all that sugar. This is staple pasalubong ever time Annie comes home to Manila. One of the best torta I’ve tasted is by the makers of the best empanada—San Lo’s Famous Empanada. Absolutely soft, buttery, and really really good, especially the version topped with quezo de bola. Adding to my list of delightful is torta is Good Shepherd. Yup, that beautiful convent known for its Ube Jam and Strawberry preserves. Since I wasn’t really keen on getting any of the jams, I settled for a little piece of tortas (P 35) . After a bite, I bought 2 large ones (P 70/piece) . Really good.